Below you fill find all funeral homes and cemeteries in or near Twin Valley. Suburbs of Twin Valley: Faith, Fossum, Syre. Twin Valley is also known as: Norman County / Twin Valley city. Zip codes in the city: 56584. Twin Valley is a city in Norman County, Minnesota, United States along the Wild Rice River. 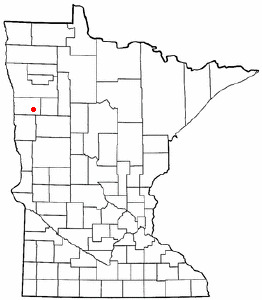 The population was 821 at the 2010 census.Minnesota State Highway 32 and County Highway 31 are two of the main routes in the community. Minnesota State Highway 200 is nearby. The Agassiz Recreational Trail passes through Twin Valley. It was revealed on November 22nd, 2015 that Lorraine Sweep perished in Twin Valley, Minnesota. Sweep was 72 years old. Send flowers to express your sympathy and honor Lorraine's life. It was written by The Forum on September 25th, 2015 that Harvey Wiger passed away in Fargo, North Dakota. Wiger was 93 years old and was born in Twin Valley, MN. Send flowers to express your sorrow and honor Harvey's life. It was reported on August 20th, 2015 that Russell Mathias Walz passed away in Twin Valley, Minnesota. Walz was 56 years old. Send flowers to express your sorrow and honor Russell Mathias's life. It was revealed by The Forum on April 20th, 2015 that Richard F Broers passed on in Fargo, North Dakota. Broers was 68 years old and was born in Twin Valley, MN. Send flowers to share your condolences and honor Richard F's life. It was written on February 28th, 2015 that Dean Airhart died in Twin Valley, Minnesota. Airhart was 80 years old. Send flowers to share your condolences and honor Dean's life. It was disclosed on January 18th, 2015 that Frances E Kersting passed away in Twin Valley, Minnesota. Kersting was 104 years old. Send flowers to share your condolences and honor Frances E's life. It was written on November 8th, 2014 that Ed Swenson passed away in Twin Valley, Minnesota. Swenson was 80 years old. Send flowers to express your sympathy and honor Ed's life. It was disclosed on March 15th, 2014 that Hazel Ivanchic passed on in Twin Valley, Minnesota. Ivanchic was 102 years old. Send flowers to express your sympathy and honor Hazel's life. It was disclosed on October 29th, 2013 that John E Schaumburg died in Twin Valley, Minnesota. Schaumburg was 94 years old. Send flowers to express your sorrow and honor John E's life. It was noted on October 20th, 2013 that M Anderson Norvald passed away in Twin Valley, Minnesota. Norvald was 72 years old. Send flowers to express your sorrow and honor M Anderson's life. The population was 865 at the 2000 census. Twin Valley is a city in Norman County, Minnesota County, Minnesota, United States along the Wild Rice River (Minnesota) Rice River. . . . The official website for the city of Twin Valley is http://www.twinvalley.govoffice.com. Anderson Funeral Home provides complete funeral services to the local community. Anderson, Tim - Anderson Funeral Home, Twin Valley, MN : Reviews and maps - Yahoo! Local, 218.584.5166. Get Ratings, Reviews, Photos and more on Yahoo! Local. Funerals in Twin Valley, MN on Yahoo! Local Get Ratings & Reviews on Funerals with Photos, Maps, Driving Directions and more. TWIN VALLEY -- Twin Valley - A Great Place to Live! Find coupons in Twin Valley offered by your local businesses for products such as pizza, grocery shopping restaurants and more. We work with local florists and flower shops to offer same day delivery. You will find budget sympathy flowers in Twin Valley here. Our funeral flowers are cheap in price but not in value.